Three days of testing in preparation for the opening round of the 2016 MotoGP World Championship, scheduled here for Sunday March 20th, have drawn to a close at the Losail circuit in Qatar. The two Ducati Team riders were able to get through a lot of work today and continue setting up their Desmosedici GP machines in preparation for the race. 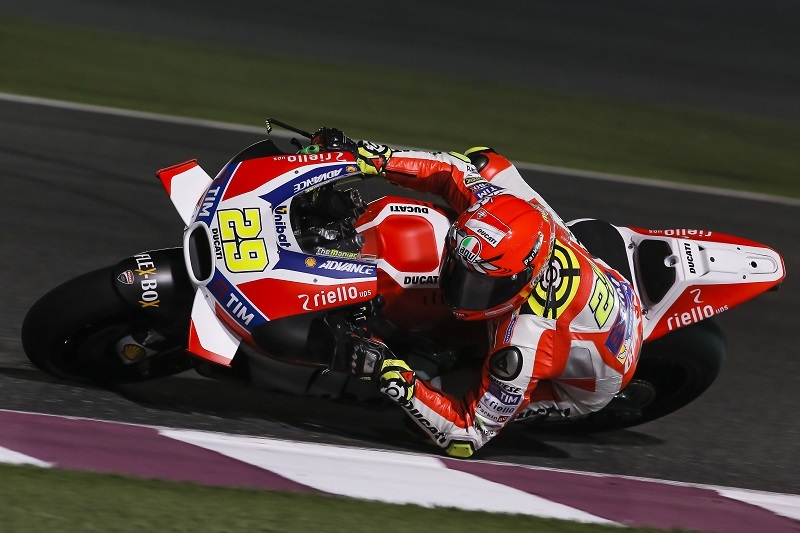 Today Iannone completed 46 laps, the best of which in 1’55.535, and he finished the day in sixth place, 0.725s from Lorenzo. Dovizioso, who did one more lap than his team-mate, set a quickest time of 1’55.700 on his final exit, which took him to eighth place in the standings, 0.890s behind the leader. In the combined three-day standings, the Ducati Team men were again classified sixth and eighth, with Iannone’s best time being the 1’55.508 he set yesterday.